Micamy Design Studio creates exceptional and distinctive interior environments through our full service, NCIDQ Accredited, state licensed, and insured practice. We endeavor to understand and see our client's vision come to life in the built environment. Our team structure insures a design principal, project manager and our production staff is assigned to collaborate on all scaled project types. Our professional FF&E services include the capability to coordinate and install our final selections. Such services include the capability to ship, transfer and accept shipments in our conditioned facility. At Micamy Design Studio, our principal focus is advancing our client's interior design goals through a collaborative and proven process, refined to insure the finished result exceeds expectations. 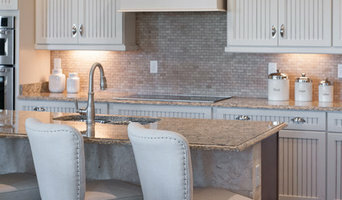 Pamela Neel Interiors provides a wide array of interior design services, tailored to reflect the client's own unique style and taste. With a simplified design process, we save you time and money. We believe that comfort and elegance can only come from working closely with clients, understanding their lifestyles and interests, and translating that information into remarkable environments. From concept through every detail to complete your project, Abode Interiors delivers a personal environment tailored specifically for you by interpreting an individual client’s style and needs. With over twenty-five years of interior design experience, I understand that the home should reflect the unique personality of its inhabitants, and that every home has a story to tell. Chisholm Design is an extension of this passion, namely to see people from all walks of life truly love their homes, and achieve this “everyday elegance.” My passion and penchant for interior design has given me the unique ability to capture clients’ distinct personalities, bringing form and style to any interior space. My ability to interpret numerous styles, modes, and themes allows me greater versatility and harmony in my design objectives. Using the latest trends and applications, I strive to effectively achieve beautiful and functional design schemes. Currently, my design firm spans numerous states and continues to bring high quality decor and design experise to clients in both Michigan and Florida. We specialize in offering décor solutions to fit any style and budget. Our goal is to help you create a warm and comfortable feeling within your space that fits your specific style and needs. Our approach is to collaborate with our clients. We enhance their surroundings & lives by taking a design they envisaged & bringing it to life with our expertise & guidance every step of the process. Posh Home Designs offers an array of Interior decorating and design services including Full Service Interior Decorating, Kitchen and Bath Design, Project Management, Redesign, One Day Designing, and Real Estate Home Staging, Color/Paint Consultations, Space Planning, Renderings and more. Our team is dedicated to providing top-of-the-line Interiors. Our number one purpose is to please our client. We believe integrity coupled with the purpose of pursuing excellence sets Posh Home Designs apart from the rest. Listening to the client is uttermost in achieving our goal as we believe communication is the key to good design. Donna Mancini brings energy, integrity and honesty along with her unique combination of skills and experiences to every client. A Colorful World was inspired by passion for design and to help others achieve the home they desire, but it's become so much more than that. This journey is about being a part of others lives, getting to know them and helping them with their challenges. It's rare I don't become friends with those I work with. I refuse to narrow my market to specific homes because, to me, everyone deserves a home they are proud of, and a space they can enjoy and relax in. I am passionate for people and I hope my designs always reflect each and every individual personality with a touch of my own style. I look forward to working with you! At Anastasia Design Group Interior Designers work from the initial planning stage to the end of a project to help create the beautiful space and fabulous lifestyle that you envision for yourself. Opened Donna Wilson Interiors, Inc. in 1995. Referral based business for residential high end interiors. Karen Rothen Interior Design has established a reputation for providing her clients with results that exceed their expectations at a reasonable cost. Chandler Designs Home has everything you need to make your home look like a model home! 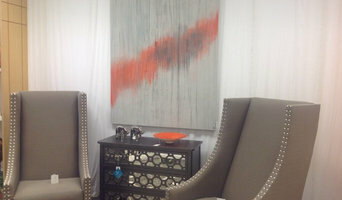 Our shop features unique home furnishings, gorgeous lighting, art, and rugs. We are also an Annie Sloan Chalk Paint stockist and offer paint work shops weekly. Chandler Designs also offers free quotes on our beautiful selection of hardwood flooring & carpet, as well as our custom shutters, blinds, and shades. Let one of our designers help you create the home you've always dreamed of! Interior Design Services for residential and commercial. Services include remodeling, design-build, furniture & accessories, flooring, window treatment, fixtures, cabinetry, countertops & more. At Studio A Interior Design Group, LLC we create innovative interiors with strong emphasis on feng shui principles. Our projects includes residential, commercial and hospitality interior design and renovations. Space planning and Real Estate Staging services are customized for each clients style and budget, and are a necessity to get the highest value available for your property. Our mission is to make sure our clients are satisfied through out the design process while bringing our clients design vision to life. The work of a professional can make all the difference. Whether your home has 10 bedrooms, or your apartment is 800 square feet, it can be tricky to create a cohesive look that is representative of your style. That's where a local Saint Johns interior designer comes in. A home decorator will help distill your tastes and ideas into a design that suits the needs of your space. Whether you need help creating a functional space plan, rearranging existing pieces, designing the inside of a new home, or simply sourcing amazing furniture and decor, seeking the help of professional interior designers and decorators in Saint Johns, FL is a must. A good home design professional will hone your style down to its very essence and be able to choose a functional layout that feels natural to you. Interior design companies can be involved as much or as little as the client desires. Many clients who hire an interior decorator in Saint Johns, FL — particularly those who are remodeling — have a good sense of how the room should look and what products they should use. Often clients will insist that interior decorators use the products already present in the house. Other times a designer will need to start from scratch — especially if this is a newly purchased or just-built home. An interior design company will need to figure out exactly what the client needs, which includes organizing rooms, picking flooring and wall colors, and finding furniture to complement it all. Sometimes that means he or she will have to recruit help from other Saint Johns, FL home professionals to help create the perfect look for your renovation. Here are some related professionals and vendors to complement the work of interior designers & decorators: Architects & Building Designers, General Contractors, Home Builders, Design-Build Firms, Photographers. Do your research before meeting with an interior designer or home decorator in Saint Johns, FL. Ask yourself what you want your space to become and what it will be used for. Figure out the extent of what you need help with, what your must-haves are and what your budget is. Interior design services can add up fast, so be up front with a potential design firm or individual from the beginning. Also, pick an interior decorator that fits your style. Browse through the portfolios of different Saint Johns interior design firms and decide if you would live in those houses. Just because you like something doesn’t mean you could live in it. There's a big difference! Find an interior designer or home decorator in Saint Johns, FL on Houzz. Narrow your search in the Professionals section to find Saint Johns interior designers near you. 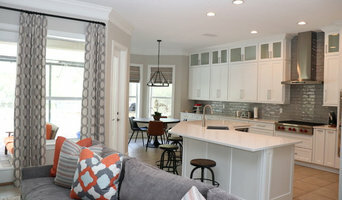 You can also look through Saint Johns, FL photos to find a room you like, then contact the design firm who designed it.